Since June of 1970, ABC Reprographics has been providing Blueprinting and related printing services to the A/E/C community. We provide high-quality reprographics printing in Denver. Our knowledgeable, experienced, and caring staff will create the right print design for you, and can print from your files as well. We go the extra mile to take care of all of our customers, and all the jobs we complete are done right. After all, we know how important your public image is, and we make it a point to keep it positive. We help your image by offering you a comprehensive list of copy and print services. We provide everything from simple black and white copies to advanced blueprint and large format sign printing. You can even order a complete branding package from us, consistent with your website, business card, brochure and sign logos. If you need matching envelopes and stationery to advance your brand, we offer that as well. Our compassionate staff understands the importance of communication to ensure each and every job is done right. Therefore, we encourage you to call us or email us and tell us what kind of job you need completed. We offer extensive levels of service for every need and budget. We even have pickup and delivery service for your convenience, so feel free to contact us today and we’ll get started. For smaller jobs, you can even make yourself comfortable as we complete your print job while you wait. 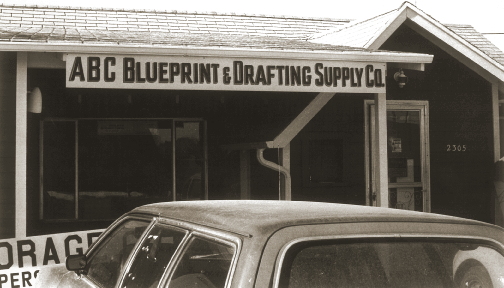 We opened our doors at ABC as ABC Blueprint and Drafting Supply Co. in June of 1970, and have operated in Denver since 1970. In 1976 we change our name to ABC Reproductions. 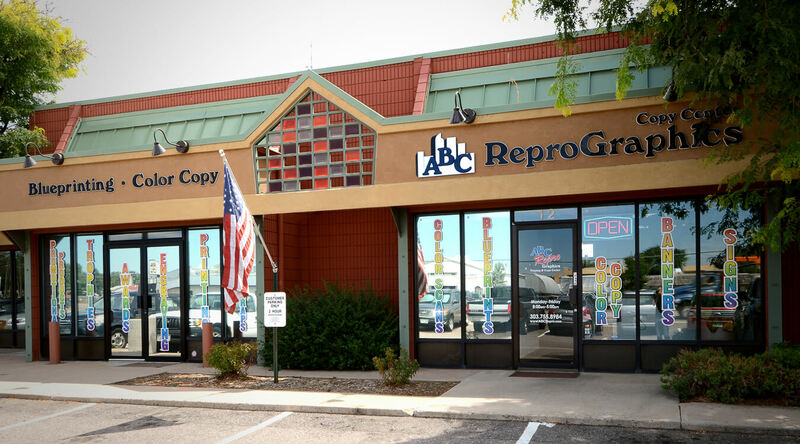 Bruce, our reputable owner, started working at ABC in 1974 as an employee before he bought the business in 1978 and changed the name to ABC Reprographics, Inc.. Our digital print and copy center has been on the same corner ( E Iliff Ave and Wabash St) since 1973.